Although tennis and golf both seem like low-impact sports, the demands each athletic motion requires can put immense stress on the joints. 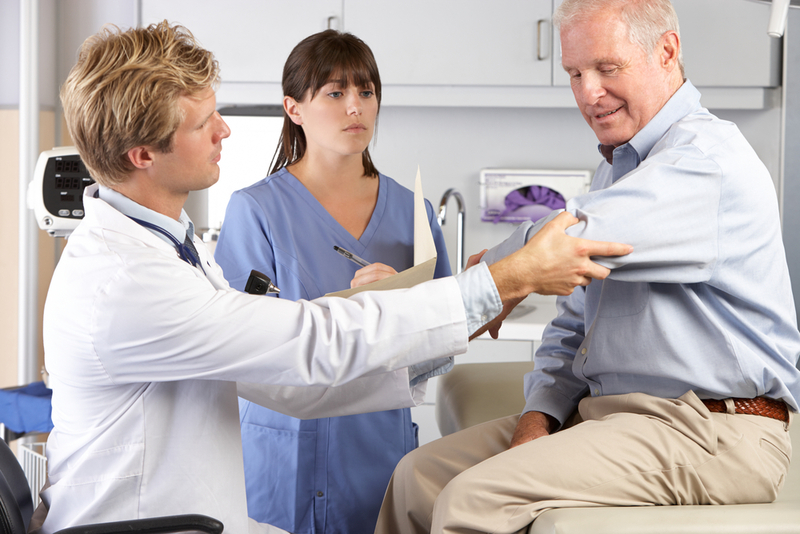 Tennis elbow and golfer’s elbow are two of the most common injuries, and the staff at Surgery Center of Kenai in Kenai, AK, wants to explain the difference. Orthopedic surgery has different approaches to treating each, and it’s important to understand, so you take the proper steps to resolve the injury. Tennis elbow occurs when the muscles and tendons in the forearm and elbow endure too much strain. This results in inflammation on the outside of the elbow. It’s most commonly caused by overworking these muscles during forehand and backhand motions. Pain is the most common symptom and manifests in the elbow, although it can extend down to the wrist. Many people fail to get properly diagnosed and treated because the pain is sometimes only experienced during specific actions. Orthopedic surgery is rarely needed, as tennis elbow can be treated with non-invasive care and braces to immobilize the area while it heals. Golfer’s elbow is similar to tennis elbow, even though it occurs on the inside of the forearm and elbow. It’s usually caused by extensive twisting, which is common in golfing techniques. Pain is usually experienced on the inside of the elbow when lifting it with the wrist, making a fist, or twisting your forearm. Like tennis elbow, golfer’s elbow rarely requires orthopedic surgery and can be treated by immobilizing the joint. If you’re dealing with injuries related to sports or trauma, turn to the staff at Surgery Center of Kenai. They offer comprehensive orthopedic surgery and care services, and they’re committed to helping patients successfully recover from their injuries. Call (907) 335-2580 to schedule an appointment with an orthopedic surgeon, and visit the website and Facebook page to learn more about their medical clinic. What Is the Connection Between Orthopedic Surgery & Heredity?